The time has come for another major release! We are proud to present Gitea 1.8.0 to the world. This release contains two new security fixes which cannot be backported to the 1.7.0 branch, so it is recommended to update to this version. In this release, we merged 245 pull requests – This is more than 1.7.0 (157) and 1.6.0 (178). You can download one of our pre-built binaries from our downloads page - make sure to select the correct platform! For further details on how to install, follow our installation guide. Unfortunately there is a known issue with our prebuilt images on armv7, see #6700. We’d like to thank all of our backers on Open Collective, who are helping us deliver a better piece of software. We are happy to announce that version 1.7.5 of Gitea has now been released. This version only has 3 merged pull requests as we prepare for 1.8.0! We are happy to announce version 1.7.4 of Gitea has now been released. This is a smaller release, with only 4 merged PRs, but it contains an important security related fix and so we recommend upgrading whenever possible. We’d like to thank Anti Räis for reporting the security issue that has been patched in this release. Another thank you goes to all of our supporters on Open Collective who are also helping us with financial sustainment. We proudly present the minor release of Gitea version 1.7.3. We have merged 11 pull requests to release this version. You can download one of our pre-built binaries from our downloads page, you just need to select the correct platform. For further installation details, follow our installation guide. Another thank you goes to all of our supporters on Open Collective who are also helping us with financial sustainment. We proudly present the minor release of Gitea version 1.7.2. We have merged 13 pull requests to release this version. You can download one of our pre-built binaries from our downloads page, you just need to select the correct platform. For further details of the installation follow our installation guide. We proudly present the minor release of Gitea version 1.7.1. This release contains some security fixes so it is highly recommended to update to latest release. We have merged 15 pull requests to release this version and built gitea with go1.11.5 to fix a golang bug. You can download one of our pre-built binaries from our downloads page, you just need to select the correct platform. For further details of the installation follow our installation guide. We would like to say special thanks to those who reported security issues or sent patches fixed in this release. The time has come for another major release! We are proud to present Gitea 1.7.0 to the world. In this release, we merged 157 pull requests – it’s less than last time (178). We proudly present the security release of Gitea version 1.6.3. This release contains a very important security fix so it is highly recommended to update to latest release. We have merged 2 pull requests to release this version. You can download one of our pre-built binaries from our downloads page, you just need to select the correct platform. For further details of the installation follow our installation guide. We would like to say special thanks to zeripath who reported and fixed the security issue fixed in this release. 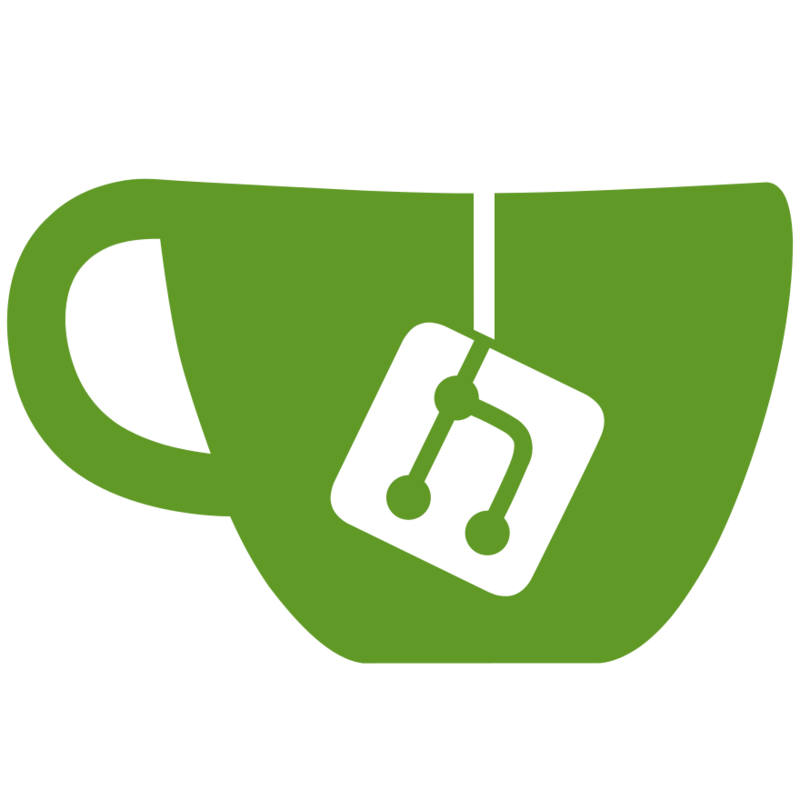 We proudly present the bugfix release of Gitea version 1.6.2. This release contains important security fixes so it is highly recommended to update to latest release. We have merged 10 pull requests to release this version. You can download one of our pre-built binaries from our downloads page, you just need to select the correct platform. For further details of the installation follow our installation guide. We would like to say special thanks to those who reported security issues fixed in this release.